On October 25th and 26th I’m heading out to Chester Springs, PA for a continuing education course all about the beautiful bone butterfly of the pelvis. I’m really excited! This butterfly is filled by and connected to three fans of muscles and plays a big role in the symmetry and comfort of the body structures above and below it (rib cage, shoulders, legs, etc.). 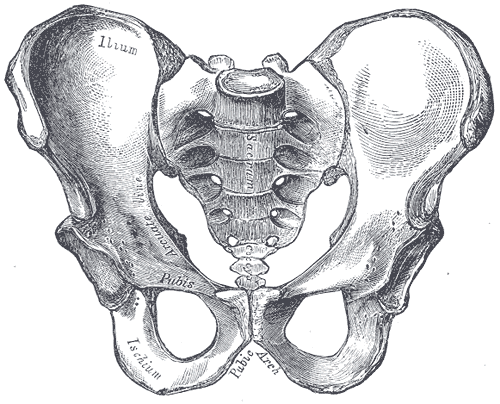 I’ll be spending the weekend refreshing my anatomy knowledge and practicing detailed ways of assessing–and addressing–pelvic alignment, especially through movement rather than manual therapy. I’m looking forward to feeling changes in my own balance over the weekend and to exploring and honing these techniques together with my clients in the coming weeks and years. ← Have you seen this skeleton doing yoga?